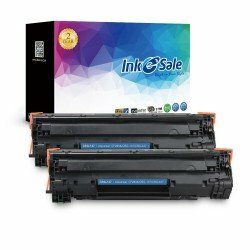 While looking for compatible toner cartridges for Canon imageCLASS MF212w printer, INK E-SALE will be your best choice. We sell compatible Canon 137 toner cartridge for Canon MF212w printer. It uses state of the art processes to insure the same print quality as OEM cartridges. The same quality as the original and the preferential price is the reason that you choose us. If you choose INK E-SALE, 100% satisfaction is guaranteed with 2 Year Warranty for refund or replacement. Buy now, new customers will enjoy extra discounts.